Tomorrow Tuesday March 4 Grand Theft Auto V and Grand Theft Auto Online will receive an update. 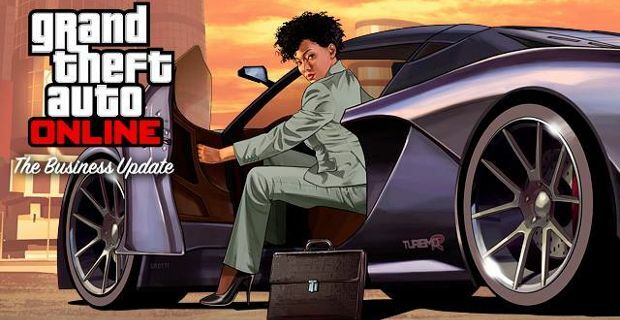 Rockstar Games will make the latest update available online for free, simply download it by going into GTA Online and add business attire like suits, guns and sports car. But let's take a closer look at the new business attire that is designed to boost your gaming style and killing capacity. First of all, your style: new suites will be available in the update, including jackets, glasses, slacks and tattoos. You also have the chance to get more brutal than that though, thanks to newly added masks. For what concerns the weapons, a Special Carbine is available, as well as the new Heavy Pistol. And for the cars, you have a choice of the Dinka Jester, Grotti Turismo R, and Albany Alpha or, if you prefer travelling by air, you are given the chance to grab the new Vestra airplane. Remember that this is not like the GTA V Valentine's update: all the items in the latest update to be released on March 4 are available for free and long-term. However, there is quite a lot we still don't know about the new GTA V update, as many details have not been disclosed yet. We don't know, for instance, if new modes such as Heists, Flight School, and Capture Creator, long promised by Rockstar Games, are actually part of tomorrow's update. Again, Rockstar Games have been teasing GTA gamers by casually dropping that they have “much more” to reveal... are they alluding to the possibility of downloading content related to the GTA V story? The new business attire, style weapons and vehicles, will be available in both story mode of GTA 5 and GTA Online.